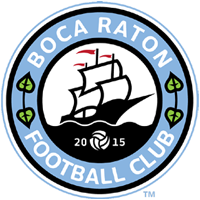 Boca Raton Football Club has qualified to the 2016 Lamar Hunt U.S. Open Cup. The club was in the Open Qualifying Rounds, however, according to US Soccer one of the leagues in the professional division has reduced their number of participating teams, giving all the teams still alive in the Open Division automatic berths into the First Round of the 2016 U.S. Open Cup. With the news, Boca Raton FC will not be traveling to Virginia to take on Aromas Cafe FC and will now await the official draw for their first round opponent on May 11.